One of the co-founders in the apparel company, Melin, Brian McDonell was experiencing growing pains with his partner in their first year. Brian found it difficult to welcome his partner’s suggestions — he was the edgy one and found his partner’s views too safe. He signed up for Business Mastery in an effort to find clarity and improve his working relationship with his partner. Discover Brian’s story and learn how Business Mastery helped him overcome his challenges. Brian’s intervention with Tony helped him realize how valuable his partner’s ideas were. He learned to let go of his desire of being the ultimate voice and be more open to his partner’s ideas. As Tony said, the greatest gift in a business is having different opinions but the ability to still agree on the fundamentals. Brian’s journey at Business Mastery not only improved his business, it also improved his relationships. When you are able to find success in one area of your life, the rest will follow. Conflict in business is inevitable — it’s how we learn to navigate conflicts when they arise that will determine our success. 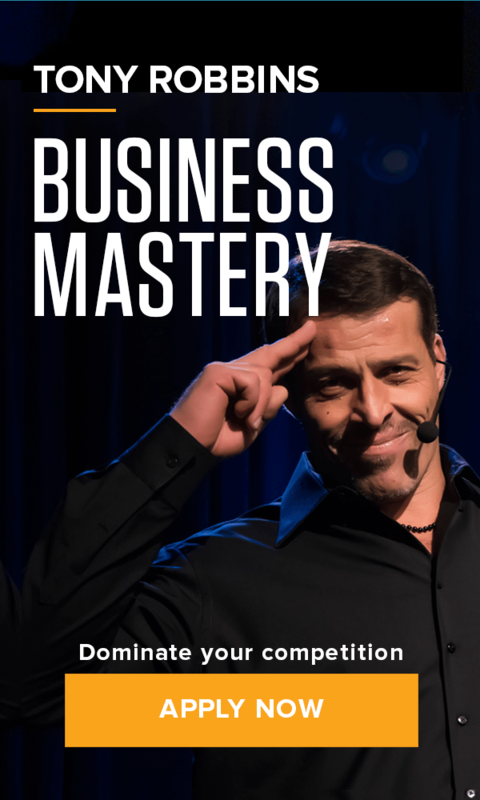 No matter what challenges your business is currently facing, Business Mastery will teach you the strategies to overcome them and get on the path to success.